It has been 25 years since the release of the crime epics Goodfellas and Casino, both directed by the maverick Martin Scorsese. Goodfellas has long been seen as leading the gangster genre and rightfully so. In Casino, the cast all deliver stellar performances, with Sam ‘Ace’ Rothstein being grandly portrayed by Robert De Niro, and Joe Pesci as the suave Nicky Santoro. The question as to which is better is hotly debated, but we must reach a verdict. Goodfellas is seen on the same level as the first two Godfather films and should be. It exemplifies the very meaning of mob violence, but also of the allure of the lifestyle. From the outset, the film entices audiences with the quote ‘As far back as I can remember, I always wanted to be a gangster.’ The story of Henry Hill, played by Ray Liotta, is the gripping tale of a mobster working as an associate for the Lucchese Crime Family in New York. Hill is soon teamed with Jimmy Conway, superbly portrayed by Robert De Niro and the homicidal Tommy DeVito, a role which earned Joe Pesci an Oscar for Best Supporting Actor. The film is tailored to all tastes. De Niro, for example, gives a contrast to Pesci’s brash and volatile DeVito by acting as the prudent one. DeVito, despite having a number of vices, ranging from his extreme violence to his colourful language, is an accurate depiction of real life gangster Thomas DiSimone suspected of the slaying of William ‘Billy Batts’ Bentvena. Goodfellas is an example of a film which doesn’t leave us from the cinema, but instead the stories and lessons linger in us, and in turn that makes it like a cautionary tale: never rat on your friends, and always keep your mouth shut. Casino shows us an entirely different setting to Goodfellas. Set on the Strip in Las Vegas, it’s the story of Sam ‘Ace’ Rothstein and Nicky Santoro, two friends who rise to the top of the city. Starting with a car bombing, Casino does not give the gradual climax and instead rocks viewers from the start. A thing both epics have in common is they act as a medium for Scorsese’s fondness of using narration as a means of connecting with the audience. 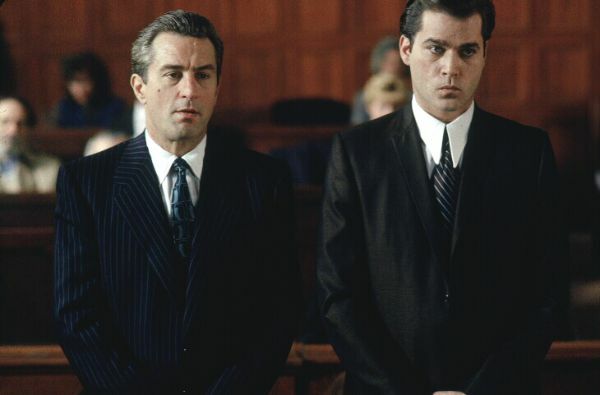 In total we hear the voices of DeNiro’s Rothstein or Pesci’s Santoro for more than 45 minutes of the film, and the explanations they provide to events ensures a bond between the audience and their characters. These two films have probably been watched dozens of times by most readers of this article. We all find something to relate to and something to aim for in them, whether it be wealth or trust. Both have great casts and great scores to accompany the plot, but the insight which Casino provided in to the violence and organisation in a seemingly open and gentle city like Las Vegas controversially gives it edge. I say this today, but it depends on the side of the bed I wake up on. Previous Post Gender on the Agenda for School Uniform?